Barnett cables are smooth-working, long-lasting and are made with the finest components available, making them virtually indestructible. Available in easy-pull high-efficiency design in standard diameters. High-efficiency clutch cables reduce lever effort by up to 40%. 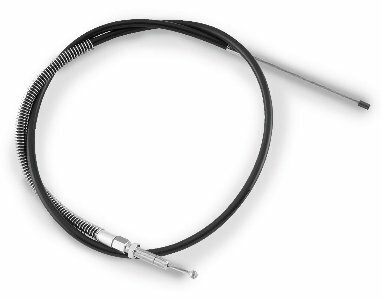 Classic black vinyl cable features a black vinyl casing with chrome elbows and hardware.